Tires with the M+S symbol are more commonly known as all-season tires and the rating is based not on winter traction capabilities or performance testing but rather on tread void area. As long as a tire tread has at least 25% of its tread area open as channels and some lateral grooves, it qualifies for the rating. Because overall tread design and rubber compound are not factors, the M+S rating is more an indicator of resistance to hydroplaning than winter capability. Some all-season tires are competent in winter conditions, while others perform very poorly. But all carry the same M+S rating. There is ample test data available demonstrating the superiority of Mountain-Snowflake tires vs. M+S in winter conditions. Québec initially introduced a new law mandating winter tires to be a minimum of M+S in 2008. However, after analyzing data from La Société de L’assurance Automobile Québec (SAAQ) over a span of six years, and not seeing as many reductions in winter collisions as expected, the province revised the minimum requirements. 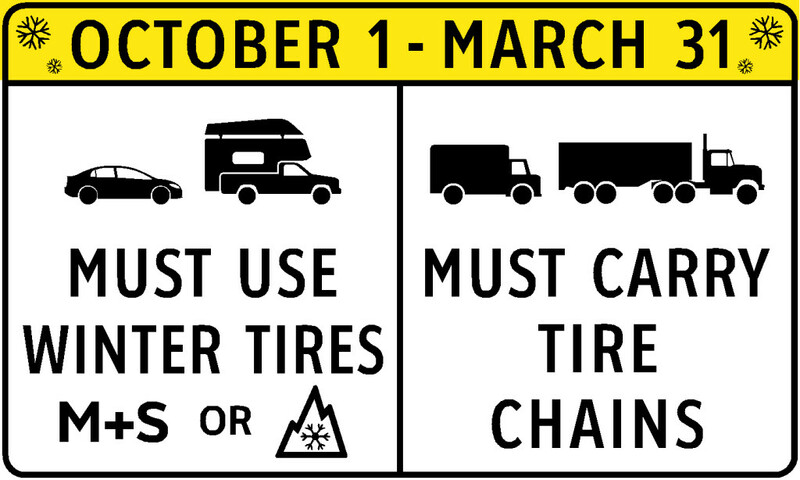 Since December 15, 2014, only tires with the Mountain-Snowflake rating or studded tires are allowed. M+S do not qualify anymore. You couldn’t ask for a better case study right out of Canada’s second most populated province with over 8 million people. So the question comes to mind: Has the B.C. government even reviewed data from Quebec? If so, why was a decision made to introduce the new law allowing a M+S rating? Winter driving conditions are comparable in British Columbia outside the Lower Mainland which is where this new law is applicable. Is it possible that in discussions leading up to the legislation a decision was made taking into consideration how voters would react to more stringent requirements from the Mountain-Snowflake rating? Initially implementing the M+S minimum is less onerous since many vehicles, especially trucks, already have M+S tires. Following the timeline, and knowing how long it takes to pass legislation, it’s more than likely that studies in B.C. were concluded before Québec implemented the change in 2o14. B.C.’s recommendations were possibly influenced by positive data from Québec from 2008 to 2013. There was in fact a measurable reduction in collisions observed after introduction of the M+S minimum tire rating in Québec. Yet this does not explain why the M+S was allowed. Data and analysis from other sources would have certainly been included in a study; a study which should have concluded and recommended that a Mountain-Snowflake rating should be the minimum. In any case, I’m sure collision statistics from the Insurance Corporation of British Columbia (ICBC) will be reviewed carefully over the next few years. I predict that B.C. will eventually switch to a full Mountain-Snowflake rating sometime within the next 5-10 years after analyzing data as Québec did. What’s promising is seeing Québec and now B.C being significantly proactive compared to Alberta, Saskatchewan, Manitoba, Ontario, and the Maritime provinces. It opens the possibility for the remaining Canadian provinces and territories to eventually follow Québec and British Columbia’s lead. Perhaps in another decade winter tires will be mandated across Canada. It’s about time Canadians started using more common sense for winter driving. We’re playing a little catch up to the Scandinavians who figured this out many years ago!